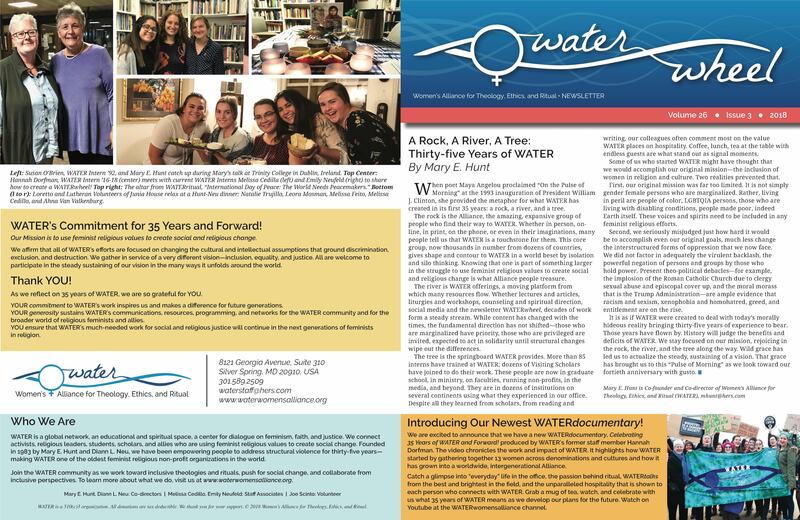 WATERwheel is WATER’s quarterly newsletter. WATERwheel has been produced since 1988 and contains a variety of articles, rituals, and lists of resources. Check out the current issue and the archives below. Please consider making a donation to WATER for use of these valuable resources. 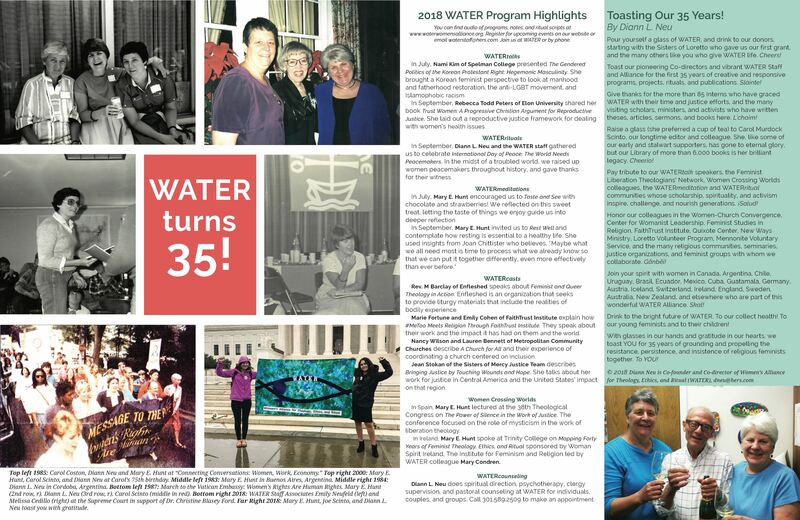 Annual subscription suggestion is $35 for donors and $50 for libraries.